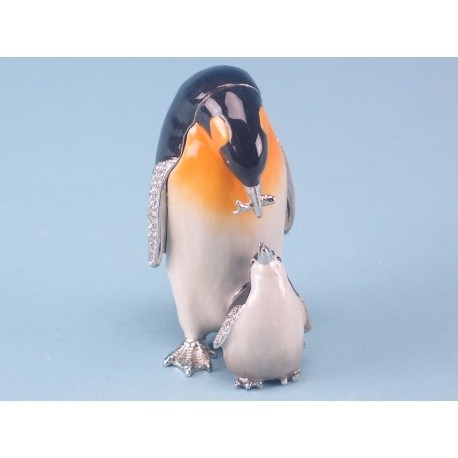 A popular item in our cloisonné range, this figure set depicts a mother penguin feeding its young one a fish. As standard with all of our cloisonné items, the penguin figure opens from the middle and provides a perfect trinket box for jewellery and other smaller items. As spirit animals, penguins symbolise adaptability, which explains their popularity. The cloisonné penguin measures at 9 by 5 centimetres and is guaranteed to be a great conversation piece in any room that it’s displayed in. 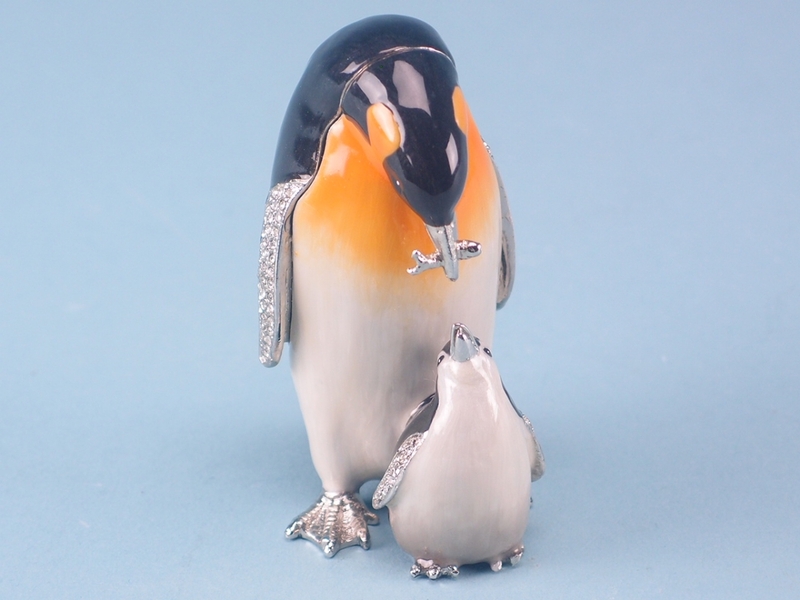 It would also make an excellent gift for someone passionate about penguins, cloisonné, or both!